A couple, who were jailed in 2015 in a landmark conviction under licensing legislation, have been ordered to repay more than £400,000 in criminal proceeds. Stasys Skarbalius and Virginija Skarbaliene operated as illegal gangmasters between 2006 and 2010 after fraudulently setting up Lincolnshire-based business CV Staff Services. They did it under a fake identity and in turn applied for licences from the Gangmasters Licensing Authority (GLA) and mortgages to build a property portfolio. During this time they facilitated hundreds of people into work in the agricultural and horticultural industries in Lincolnshire and Humberside, across Suffolk, Norfolk, Cambridgeshire and Yorkshire. Off the profits of the business, which had an estimated turnover of £12 million, they lived lavish lifestyles. The sham was exposed in 2011 when Skarbalius’ bogus Dutch passport, which he held under the name of Charles Rene Luske, expired and he was unable to renew it for the purposes of the annual licence. Following a joint investigation by the GLA and the East Midlands Special Operations Unit (EMSOU) the pair, originally from Lithuania, were convicted in June 2015. The conviction was the first of its kind in the UK under a previously unused section of the Gangmasters (Licensing) Act relating to possession of a document known to be obtained improperly with the intention of leading people to believe they were properly licensed. Both of no fixed address, Skarbalius, aged 62, was jailed for two-and-a-half years and Skarbaliene, aged 58, received three years. They were disqualified as company directors for seven years. On Monday 9 January 2017 Sheffield Crown Court heard how they had each received total benefits of £1 million from their criminal exploits. They were served with Confiscation Orders under the Proceeds of Crime Act on their available assets — £187,219.85 for Skarbalius and £231,687.68 for Skarbaliene — which they must pay within three months or face jail for another two years and three months. 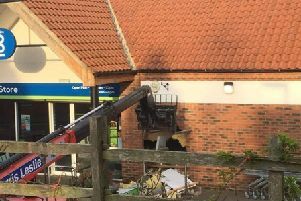 Included in their assets are substantial bank account balances, recovered cash, a Mercedes Sprinter van, a Lexus Sport, a Volkswagen Transporter van, their four-bedroom detached home in Scotter, Lincolnshire, two three-bedroom houses occupied by tenants in Scunthorpe, Humberside, and their Scunthorpe business premises. The Home Office is also considering deporting the pair. DC Grant Bailey, from EMSOU’s Regional Asset Recovery Team, said: “Skarbalius and Skarbaliene enjoyed a lifestyle of big houses, lavish holidays and access to substantial amounts of cash thanks to their lucrative business, which had its origins steeped in lies. “It’s hard to reconcile the stark contrast to their agency workers, who earned just above the minimum wage and undertook honest days of manual labour at farms across Lincolnshire and the Humber to get by in this world. Clients who were potentially left unemployed when the truth was revealed. “As in this case, the Proceeds of Crime Act (POCA) enables us to ensure money obtained from crime is repaid to society and our financial investigators work hard to identify all available assets held by criminals. Cash repaid under POCA goes to the Treasury, although a proportion can be diverted to fund crime prevention initiatives in local communities. GLA Senior Investigating Officer Dave Powell said: “This case was a fine example of the kind of partnership working on which the GLA’s enforcement activities are based. By forming a solid, efficient and highly effective partnership with the East Midlands RART, we were able to work together using a variety of techniques to unpick what turned out to be a highly complex web of deceit. “The couple involved built their successful business and property portfolio on wholly suspect foundations. Dishonesty on this scale will not be tolerated in law and the initial cost they paid for this was their freedom. It is now fitting that they also surrender the financial proceeds amassed through deception to bring a close to this successful joint operation.